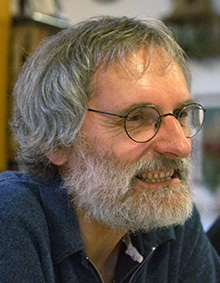 York-Dieter Stierhof is the head of the central facility for electron microscopy at the Center for Plant Molecular Biology ZMBP at the University of Tübingen. He studied biology at the University of Tübingen and got his PhD in zoology/parasitology. During his PhD he examined hepatitis A virus infected cells. In 1989, he moved to the Max Planck Institute for Biology in Tübingen as head of the electron microscopy facility, where he focused on bacteriophage structure; protein export in E. coli; and ultrastructural and immunohistochemical analysis of trypanosomes, leishmania cells, and infected tissue. In 2000, York-Dieter moved to the ZMBP, where he set up a central facility for electron microscopy. He established improved and new embedding techniques for cryofixed plant tissues in order to improve preservation of ultrastructure and antigenicity and to enhance the sensitivity of immunolabeling techniques. In 2009 (Martin, C., Happy Birthday to The Plant Cell. Plant Cell 21: 1–2), The Plant Cell selected the paper Dettmer et al. (2006) as one of the five best Plant Cell articles of the past 20 years (Dettmer, J., Hong-Hermesdorf, A., Stierhof, Y.-D., and Schumacher, K. 2006. Vacuolar H+-ATPase Activity Is Required for Endocytic and Secretory Trafficking in Arabidopsis. Plant Cell 18: 715–730). In 2014, Thomson Reuters selected York-Deiter as a highly cited researcher in the field of animal and plant science (articles ranking among the top 1% of the most cited in the respective field; h-index: 55). Takayuki Tohge is a research project leader at the Max Planck Institute of Molecular Plant Physiology, Golm, Germany. He received a BSc and an MSc in pharmaceutical science from Kanazawa University and a PhD from Chiba University. After completing his PhD, he participated in establishing the plant metabolomics research group at the RIKEN Institute in Japan for two years and then later joined the Max Planck Institute of Molecular Plant Physiology. From 2008 to 2010, he held an Alexander von Humboldt Fellowship. He was a Thomson Reuters highly cited researcher from 2002 to 2012. 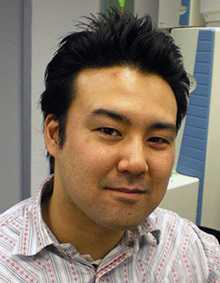 Takayuki’s research focuses on elucidation of genes involved in plant secondary metabolism, especially phenylpropanoids in Arabidopsis, tomato, tobacco, maize, and rice in order to enable biosynthesis-based cross-species comparison for understanding chemical diversity in plant secondary metabolism. 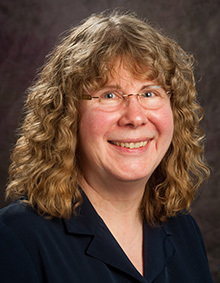 Barbara Valent, distinguished professor of plant pathology at Kansas State University, earned a PhD in biochemistry from the University of Colorado. She received an NIH National Research Service Award for postdoctoral training as a yeast molecular geneticist at Cornell University. While there, she began developing the rice blast fungus, Magnaporthe oryzae, as a model fungal plant pathogen. Barbara joined the DuPont Company in 1985 to pursue rice blast research and develop novel control strategies for this pathogen, which remains a global threat to rice production. She rose to research fellow, the top scientific position within DuPont, before moving to Kansas State University in 2001. Barbara is a Fellow of the American Phytopathological Society and of the American Association for the Advancement of Science. Career highlights include service on the Board of Trustees for the International Center of Tropical Agriculture in Cali, Colombia. Barbara’s current research combines functional genomics with live cell microscopy to understand how specialized biotrophic hyphae invade living rice cells to cause blast disease. She has become a leader in research on wheat blast, a disease that recently emerged in South America and now threatens global wheat production.